The telecommunications industry is growing and changing at a very high pace. The growth is not only in terms of volume but also in terms of changing needs and technology. To keep up with this high pace and fast changing technologies countries need strong legislation and an efficient regulatory system to promote fair competition in industry. In this study a review of existing telecommunications legislation and regulations in New Zealand (NZ) is conducted. The study highlights the existing legislation in the country and discusses the organizations responsible for regulating the underlying laws. The Ministry of Business, Innovation and Employment is the government agency which deals with telecommunications legislation. The Commerce Commission of NZ is responsible for enforcing the regulations as per the approved legislative Acts. In NZ the existing legislation related to the telecom industry is bound to the Telecommunications Act 2001. To address the challenges of the existing telecommunications industry some changes in the existing legislation regime are essential. However, this study provides two recommendations and one guideline that would help telecommunications legislation regime will be strengthened and would be able to address the challenging needs of the telecom industry in NZ. This presentation will be streamed live from Auckland University. After the presentation ends at 1.30pm, there will be an opportunity for you to network with your industry colleagues over tea and coffee until 2.00pm. Dr. Sonia Gul Dr. Sonia Gul is a Lecturer at Cornell Institute of Technology, Auckland. 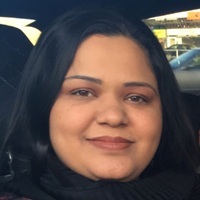 She is also a member of Network and Security Research Group (NSRG), Auckland University of Technology. Her research focuses on Wireless Networks, Telecommunications, Emergency/Disaster Communications and ICT. Sonia is also involved in Program Development for Tertiary Education (Computing). She has published a number of refereed articles in reputable journals and conferences. Nurul Sarkar Nurul Sarkar (nurul [dot] srakar [at] aut [dot] ac [dot] nz) holds a PhD from the University of Auckland and is currently associate professor and leader of the Network and Security Research Group at the Auckland University of Technology, Auckland, New Zealand. He is a member of many professional organizations and societies. Dr Sarkar is a regularly invited keynote speaker, chair, and committee member for various national and international fora. He has published over 150 refereed articles and served on the editorial review boards of several prestigious journals. Improving the Performance of Wireless LANs: A Practical Guide, his second book has been published by Taylor and Francis in January 2014. 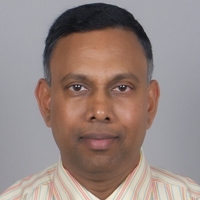 Dr. Sarkar is a senior member of IEEE.